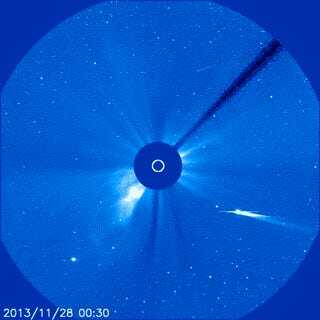 Yesterday, comet Ison flew close to the Sun, and many sources reported its death. Now, though, some scientists are claiming that it, or at least some part of it, may have survived its journey. Astronomers admit to being surprised and delighted, but now caution that anything could happen in the coming hours and days. 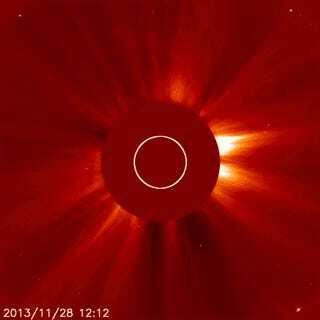 This remnant of Ison could continue to brighten, or it could simply fizzle out altogether. 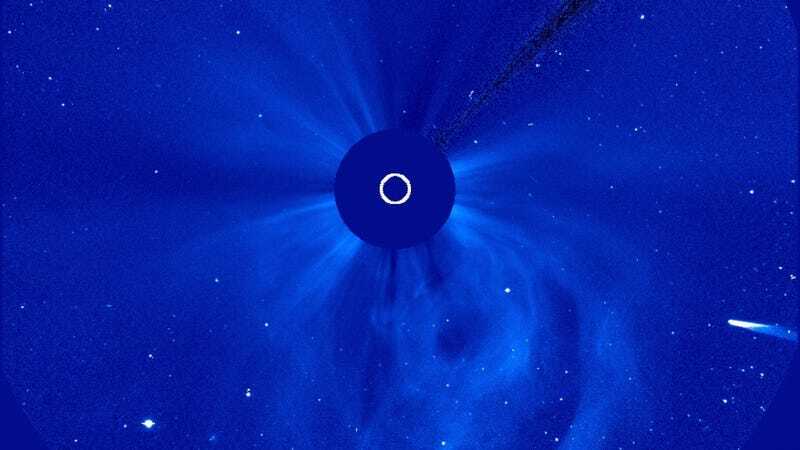 "We've been following this comet for a year now and all the way it has been surprising us and confusing us," said astrophysicist Karl Battams. "It's just typical that right at the end, when we said, 'yes, it has faded out, it's died, we've lost it in the Sun', that a couple of hours later it should pop right back up again."